Kanchipuram district district is located in the northeast of the state of Tamil Nadu in India. It is surrounded in the west by Vellore District and Thiruvannamalai District, in the north by Tiruvallur District and Chennai District, in the south by Villupuram District and in the east by the Bay of Bengal. Headquarter of the Kanchipuram district is Kanchipuram town. According to Indian Census 2011 it had a population of 39, 98,252 with a gender-ratio of 986 females for every 1,000 males. Kanchipuram district produces over 15,000 engineering graduates every year, same as Gujarat state. 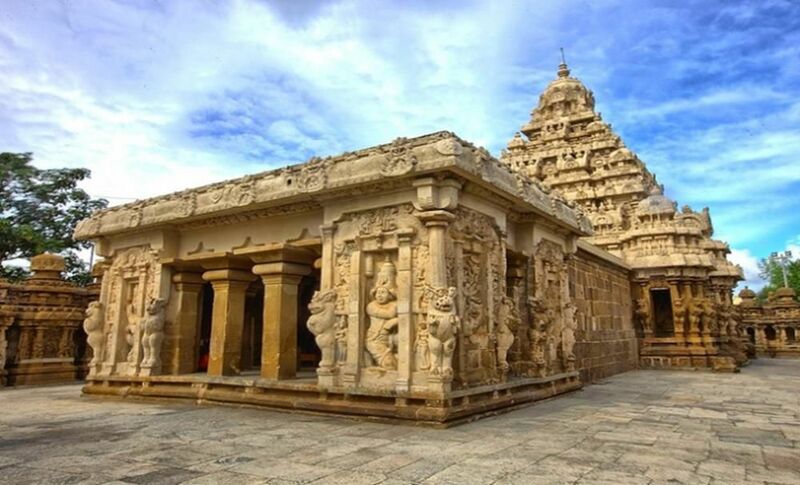 Temples in Kanchipuram District are torch bearers of the magnificent tradition and culture of the Kanchipuram District and are repositories of the glorious art forms that evolved over many hundreds of years. Here we will see some important tourist places one by one. 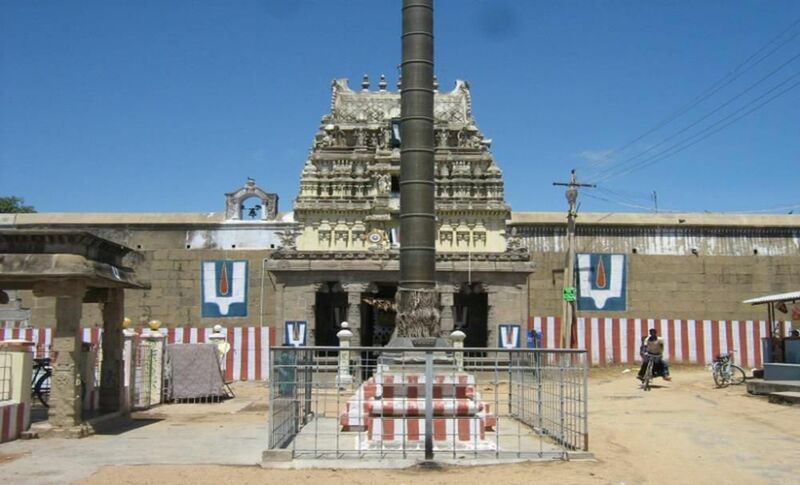 The most well-known Siva temple at Kanchi is the Ekambareswarar temple. The dimensions of this temple are reflected in its 20 - acre widen and its high south gopuram which soars to a height of 58.5m. Ekambaranathar Temple is a Hindu temple devoted to Shiva, situated in Kanchipuram in the state of Tamil Nadu, India. 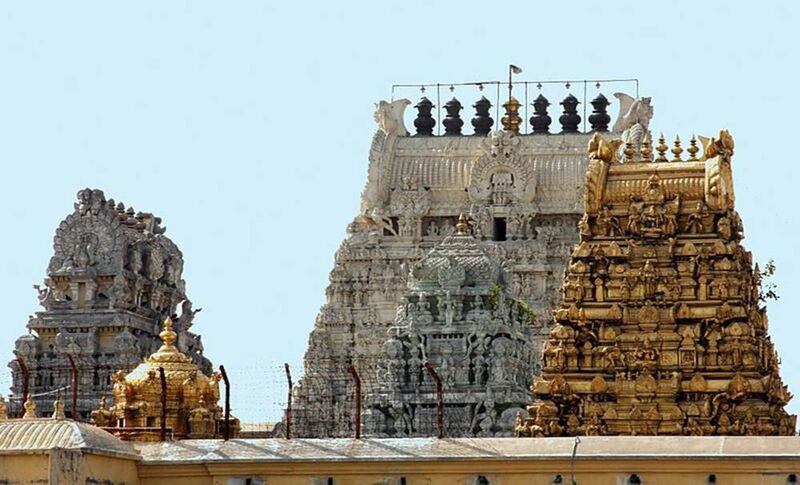 The temple is the largest temple in the town of Kanchipuram and is situated in the northern part of the town. The temple gopuram (gateway tower) is 59m tall, which is one of the tallest gopurams in India. It is one of the five major Shiva temples or Pancha Bootha Sthalams (each representing a natural element) representing the element - Earth. The other four temples in this category are Thiruvanaikaval Jambukeswara (water), Chidambaram Nataraja (Sky), Thiruvannamalai Arunachaleswara (fire) and Kalahasti Nathar (wind). It is one of the 275 Paadal Petra Sthalams, where all of the four most revered Nayanars (Saivite Saints) have sung the glories of this temple. 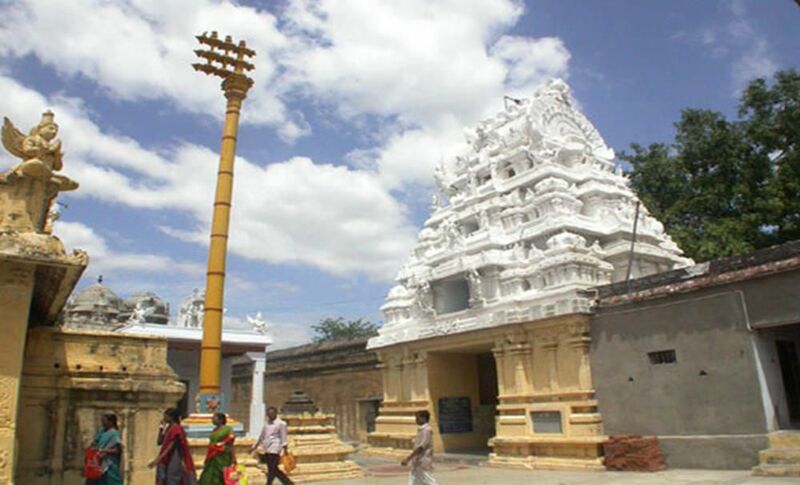 The temple is one of the most prominent tourist attractions in the city. Kailasnathar Temple is constructed by the Pallava Empire during the first quarter of the 8th century. This temple is made of red sandstone and has countless carvings of Pallava art, of which the Urdhva Thandavam dance of Siva and the smiling face of Parvathi are valuable seeing. The architecture of this temple looks like the shore temple at Mamallapuram. 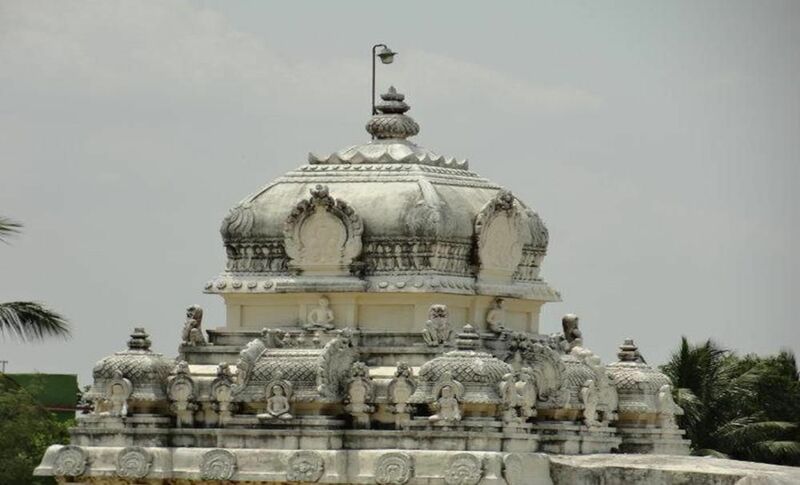 It is an oldest structure in Kanchipuram. 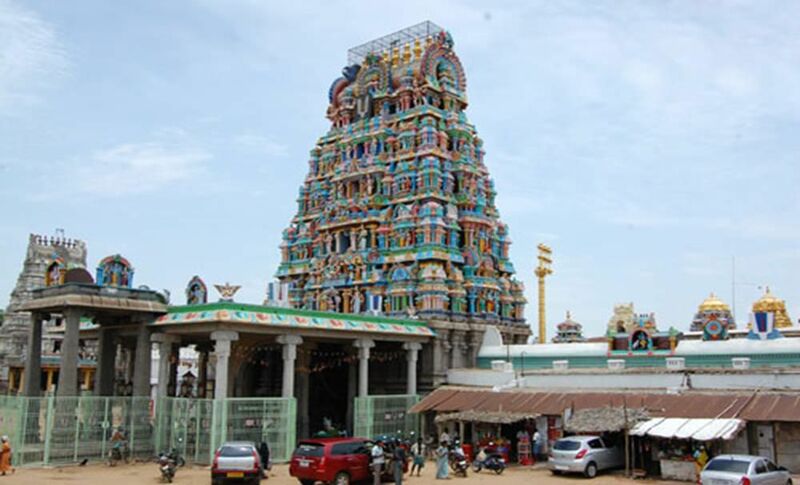 It is a Hindu temple in the Dravidian architectural style. It is devoted to the Lord Shiva, and is recognized for its historical importance. 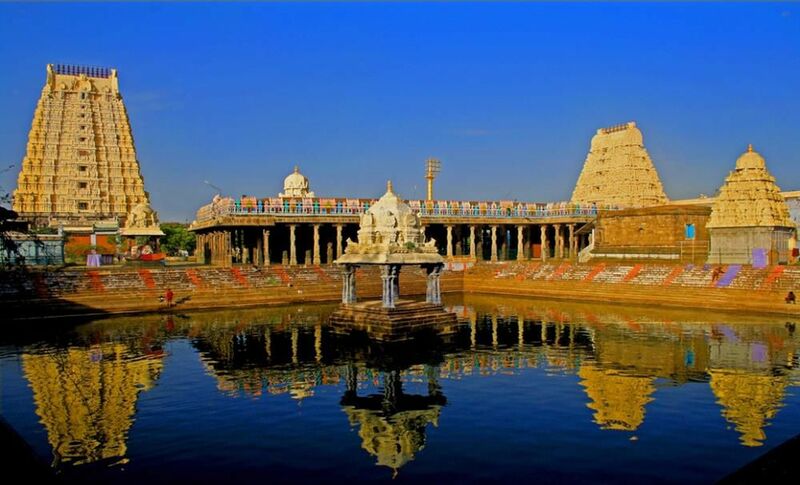 The temple was constructed from 685-705 AD by a Rajasimha ruler of the Pallava Dynasty. 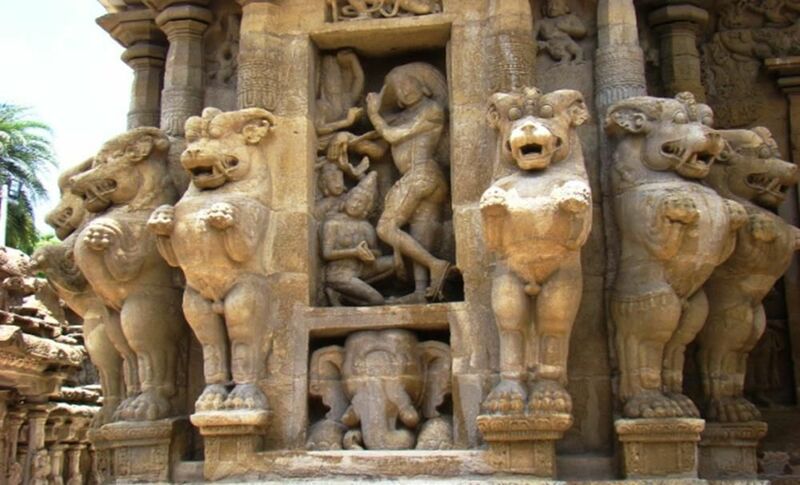 The low-slung sandstone compound comprises a large number of statues, including many half-animal deities which were very famous during the early Dravidian architectural period. The structure contains 58 small shrines which are dedicated to various forms of Shiva. The main attraction in Vishnu temples at Kanchi is the temple of varadarajaswamy located on the top of Hastigiri or Elephant Hill. 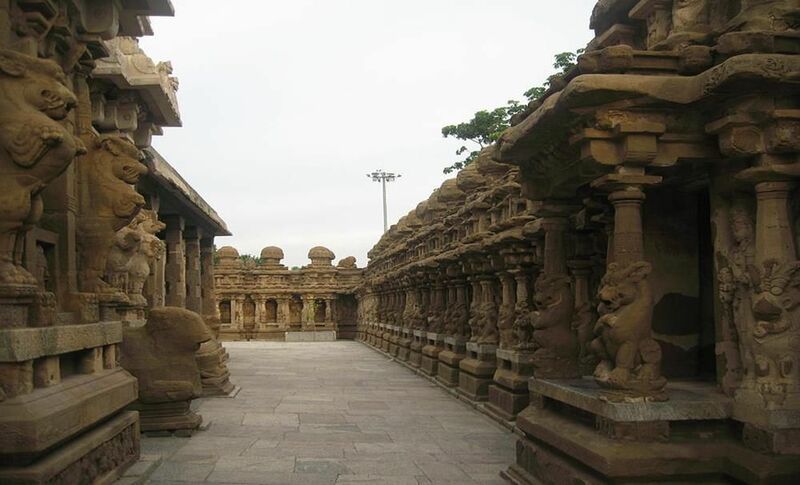 This temple was constructed by Vijayanagar Kings. The entire temple flanks an area of about 23 acres. The sculptural attractiveness of the pillars is astonishing. Decorative ornamental rings carved out of mono stone at the Four Corners of the Mandapam in the form of a chain are a charming spectacle. So, every people should visit this temple. 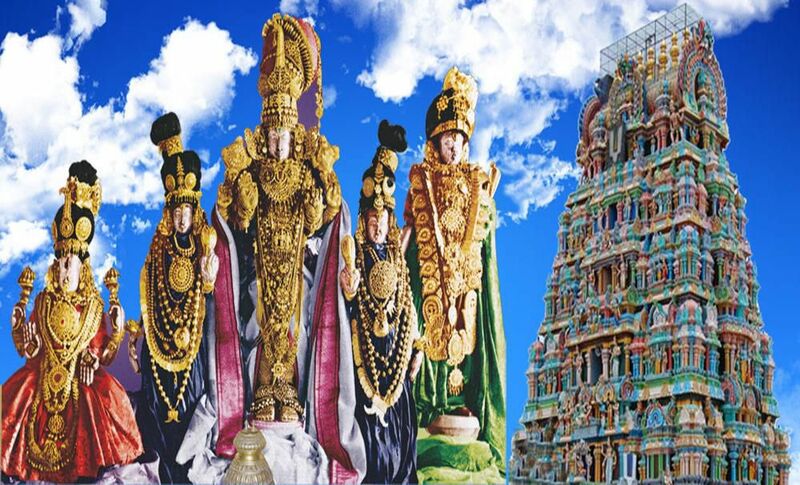 Sri Kamakshiamman temple is very famous temple all over the globe. 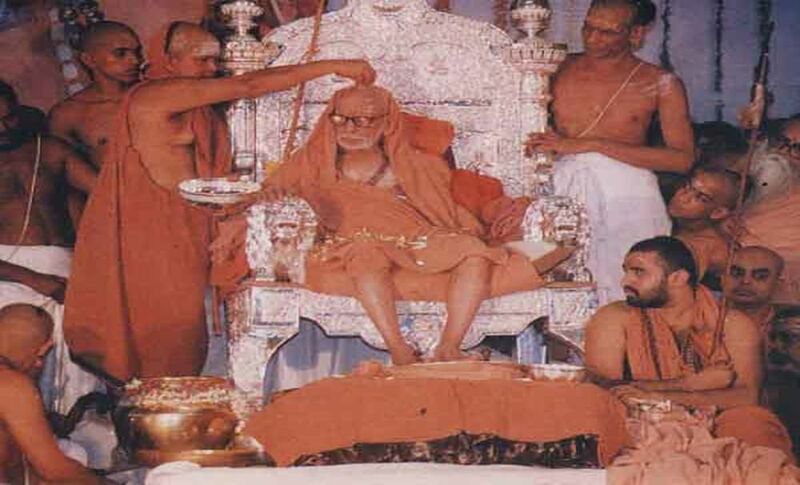 Kanchi is holy as one of the three Sakthi peethas of India. Kamakshi is said to be the Super goddess, Parasakti, having Saraswathi, Lakshmi and Parvati as her eyes. She blesses all that bestow themselves to her. The sanctum sanctorum faces southeast in the centre of Gayatri Mandapam. The ritual says that there was a wonderful grove of Champaka trees around the main temple now identified as Gayatri Mandaparn. There are, millions of devotees visited every year. It is a Vaishnava temple which was constructed in Chola Period. The presiding and main deity of this temple is Lord Vishnu with the 35 feet high and 24 feet wide posing with one foot on earth and the other on the sky. This form is called Trivikrama. The temple has an area of about 60,000 square feet (5,600 m2) and has a three tiered raja gopurams (main towers) with seven kalasas. The temple houses four divya desams on its own - they are Thirukkarvaanam, Thirukaaragam, Thiruooragam and Thiruneeragam. It is whispered that all the monuments were probably separate temples, but the environments which lead do these temples getting housed in the Ulagalantha Perumal temple is not known. 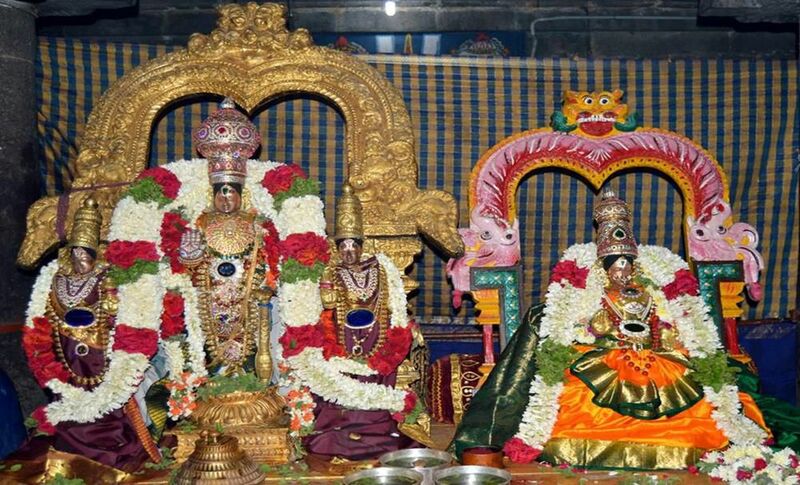 Thirumangai Azhwar has vocal praises of all the four temples in a single verse. The temple tank, Naga Tirtha, is situated outside the main temple complex. Sri Kacchapaeswarar Temple was constructed by Pallava Empire. Here, Lord Siva appears as being devoted by Vishnu in the form of turtle. Kachhapam is a Sanskrit word which means “Turtle”. That is a main reason the temple is called Kacchapa Eswarar temple. While a captivating mythical lore motivates Karchapeswarar or Karchabeswarar temple, little is known about its roots. Folklores have it that as the Devas and Asuras mixed the ocean for the medicine of immortality with Mandra Malai, a hill, Lord Vishnu took the avatar of tortoise (koorma avatar) and rested the hill on his back. Waving in forte, Lord Vishnu prayed to Lord Shiva for forte and was consecrated by him. Built perhaps by the Vijayanagara kings, Karchapeswarar temple was fundamentally the stimulus behind Karchapeswarar temple in Chennai. One of the few, rare temples where Lord Shiva is portrayed in his kurmasana avatar, Karchapeswarar temple’s walls are emblazoned with unbelievable reliefs from mythological lore’s. This temple of Vijayaraghava Perumal is one among 108 Divya desams where Lord Rama is said to have performed the funeral rites for Jadayu, the enormous bird which bravely fought to prevent abducting Sita (consort of Rama) from Ravana. It is located in Thiruputkuzhi which is a small temple town in Tamil Nadu. It is located about 7 miles away from west of Kanchipuram and half a kilometer away from Baluchetti Chattiram which lies on the Chennai to Vellore highway. 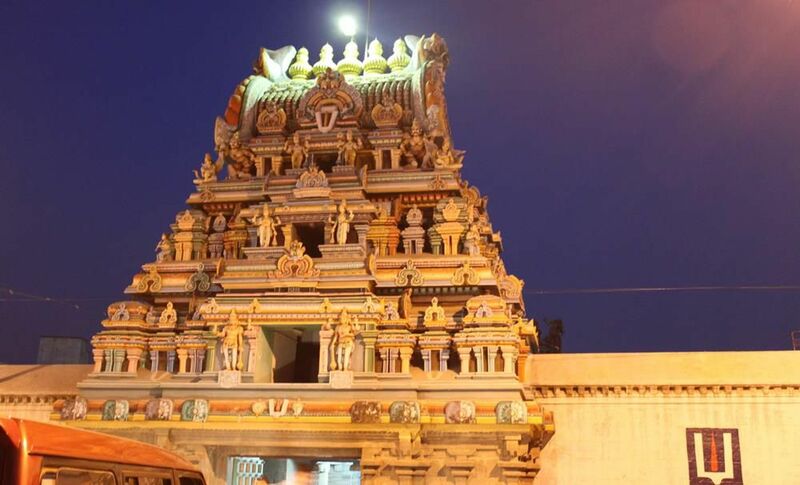 Kanchipuram is a significant landmark in the history of the Jains. 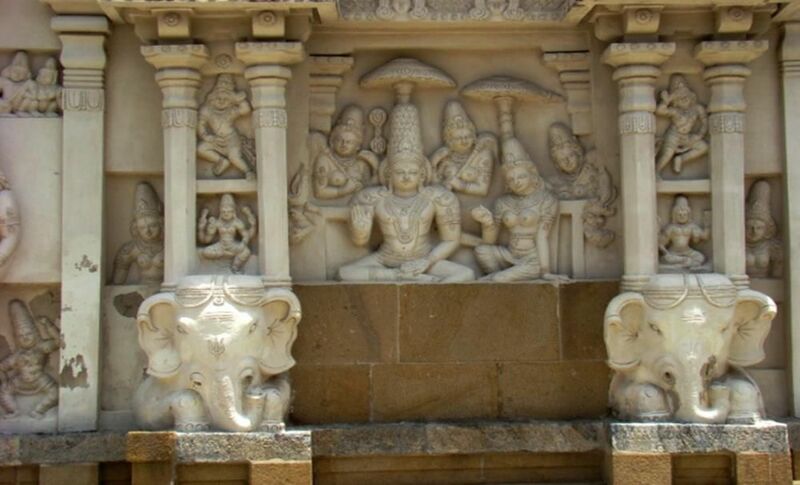 Many of the Pallava kings belonged to Jainism. The temples of the Jaina Thirthankaras were constructed in the 9th Century A.D. The temples hold many fresco paintings and a grand image of Bhagwan Mahaveer. 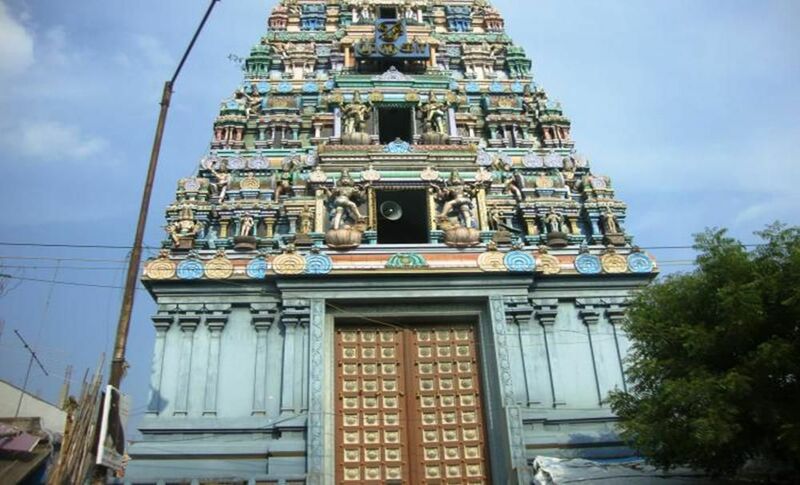 Subramaniya swami temple was constructed around in the year 1915. For Hindus on a holy trip, this temple is necessary place to visit. It gains its importance due to its location. 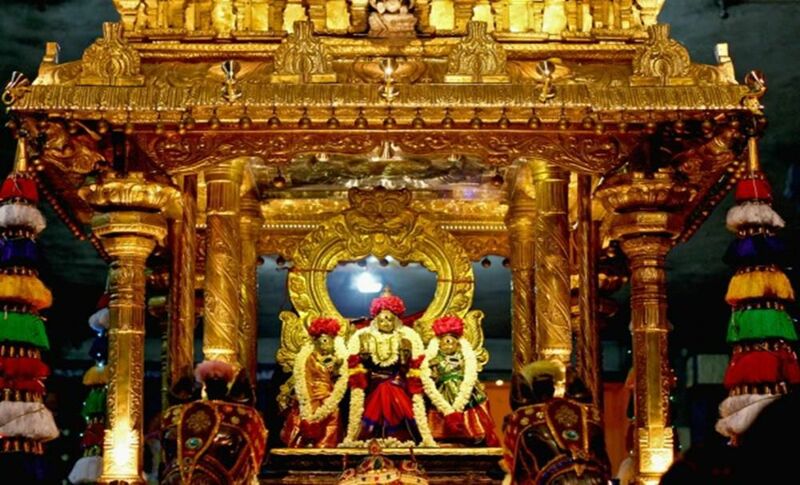 The way this temple is situated in the city is a rare phenomenon described in Hindu scriptures. It is also called the "Soma Skandha" Posture. 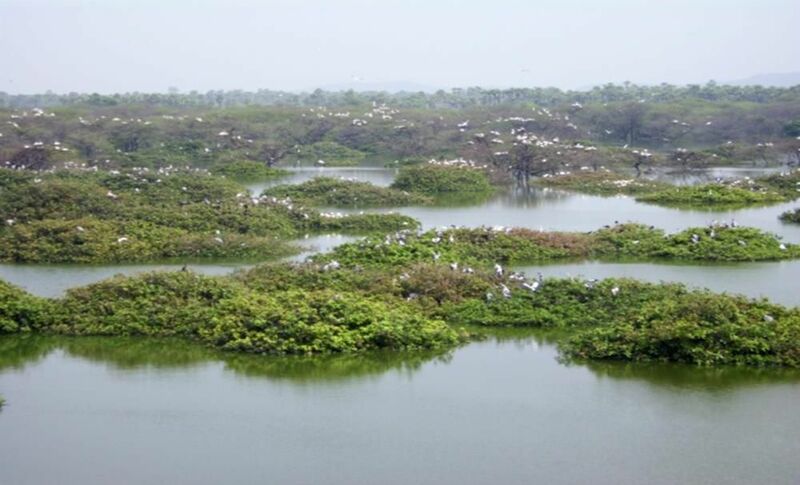 Vedantagal Bird Sanctuary is situated the area of 30 hectors which is protected area located in the Kanchipuram District of the state of Tamil Nadu, India. 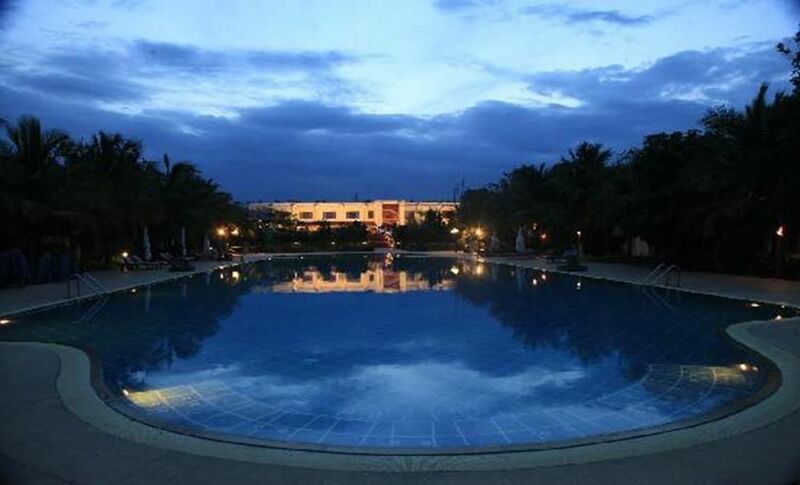 The sanctuary is about 75 kilometers away from Chennai on National Highway 45 (NH45), south of Chengalpattu. 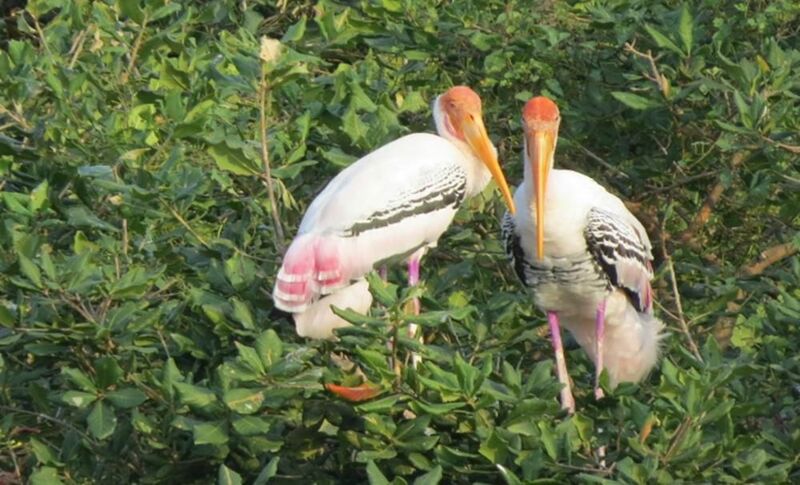 Here, more than 40,000 birds (including 26 rare species), from various parts of the world visit the sanctuary during the migratory season every year. It is a home to migratory birds such as pintail, garganey, grey wagtail, blue-winged teal, common sandpiper etc. 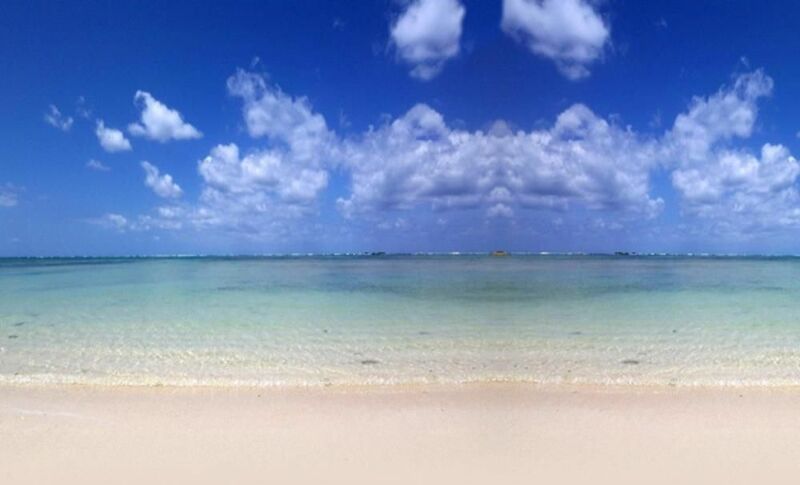 It is one of the famous tourist places which is well known all over the globe. 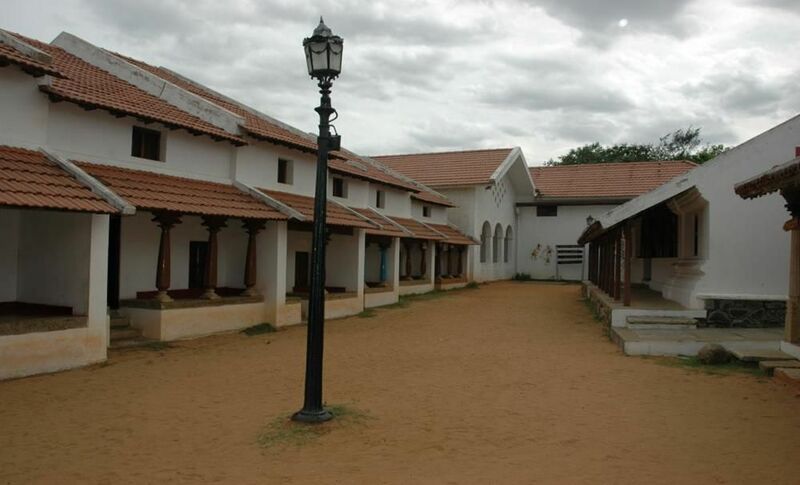 It was a magnificent and flourishing port town during the time of Pallavas Empire. This is one of the important tourist places in Kanchipuram. 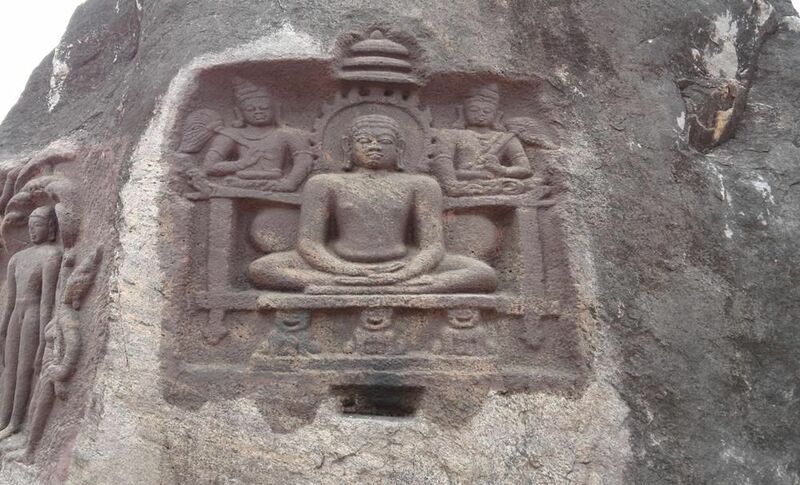 The monuments of Mamallapuram are exquisite specimen of Dravidian temple architecture and Pallava art. Mahabalipuram, also called as Mamallapuram. It is a town in Kanchipuram district. It is around 60 km south from the city of Chennai. It is an antique historic town and was an active seaport during the time of Periplus (1st century CE) and Ptolemy (140 CE). Antique Indian traders who went to countries of South East Asia navigated from the seaport of Mahabalipuram. By the 7th century it was a port city of South Indian dynasty of the Pallavas. It has a group of sanctuaries, which was imprinted out of rock along the Coromandel Coast in the 7th and 8th centuries: rathas (temples in the form of chariots), mandapams (cave sanctuaries), giant open-air reliefs such as the famous 'Descent of the Ganges', and the Shore Temple, with thousands of sculptures to the glory of Shiva. 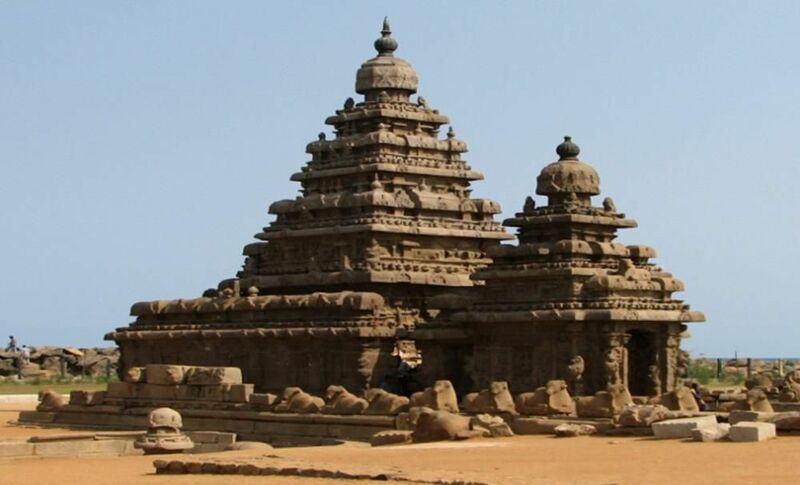 The group of monuments at Mahabalipuram has been declared as a UNESCO World Heritage Site. 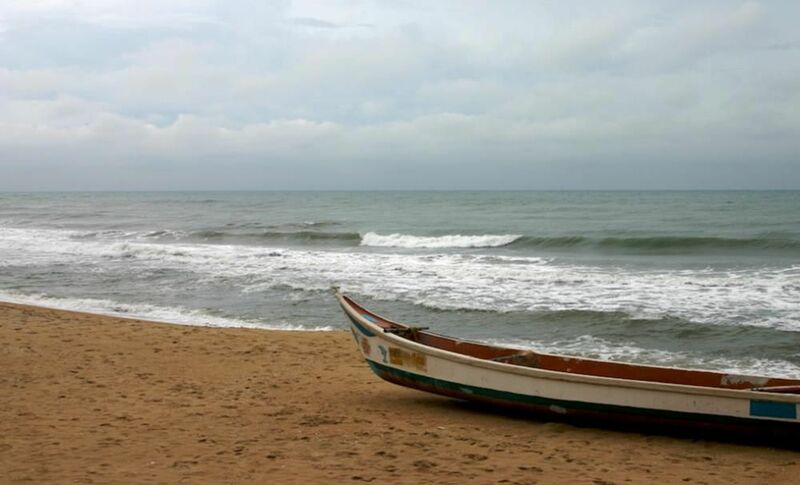 It is a small fishing village which is 40 KMs away from Chennai on the Mahabalipuram road. There are the remains of a fort which now operates as a luxury beach resort. Caters for windsurfing and swimming are accessible here. A dargah and an antique church are situated here. 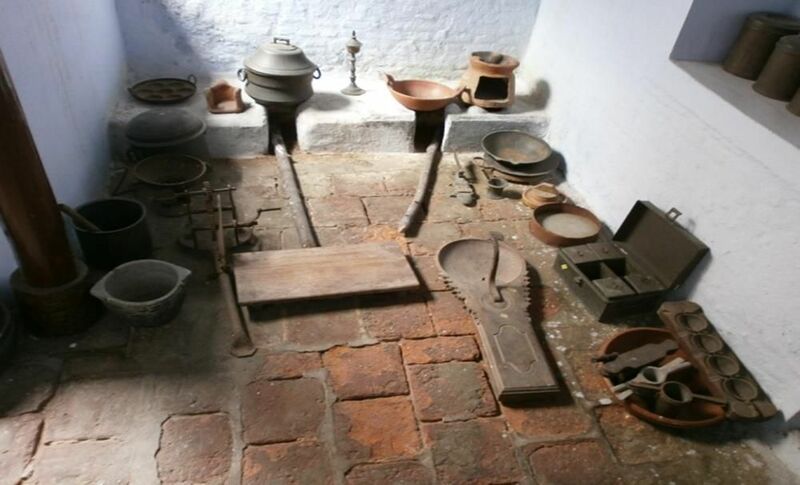 Dakshina Chitra has relocated 18th, 19th and early 20th century houses and re-created village streets and work places catering authentic insights into the domestic architecture, spatial organisation, life-styles and character of the vital Tamilian or Keralite or Andhrite or Kannadiga. 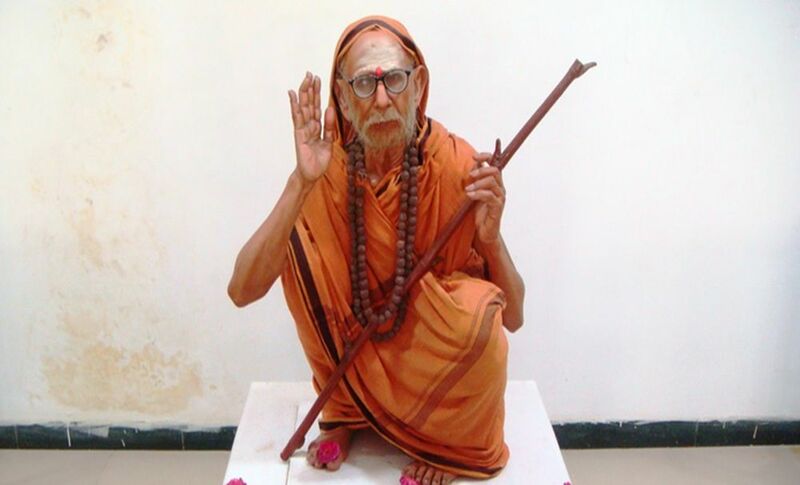 The Kamakoti Peetham and Kamakshiamman temple are closely linked with the life of Sankaracharya. The Kamakoti Peetham is enshrined in the Sri Chakra just in front of Sri Devi and all pujas and sacrifices are offered to the Sri Chakra. It is one of the tranquilize place peoples should visit. 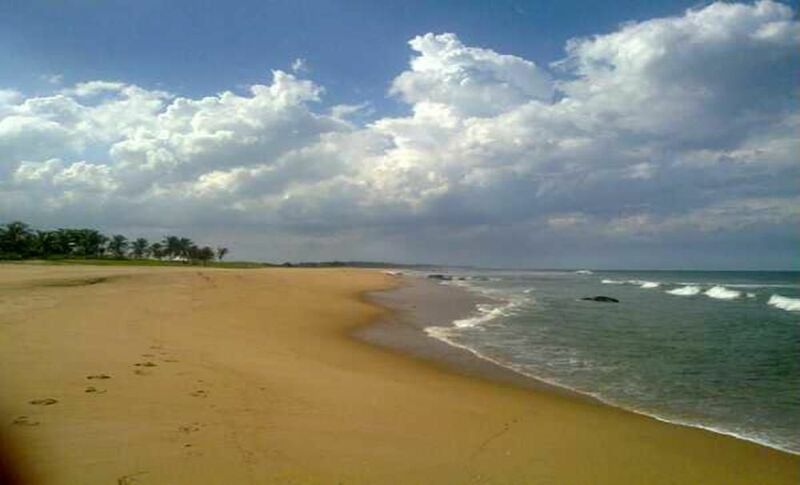 This is a fine beach is situated 16 KMs away from Mamallapuram. Originally this was a Dutch settlement but now it is coming mainly as a beach resort. 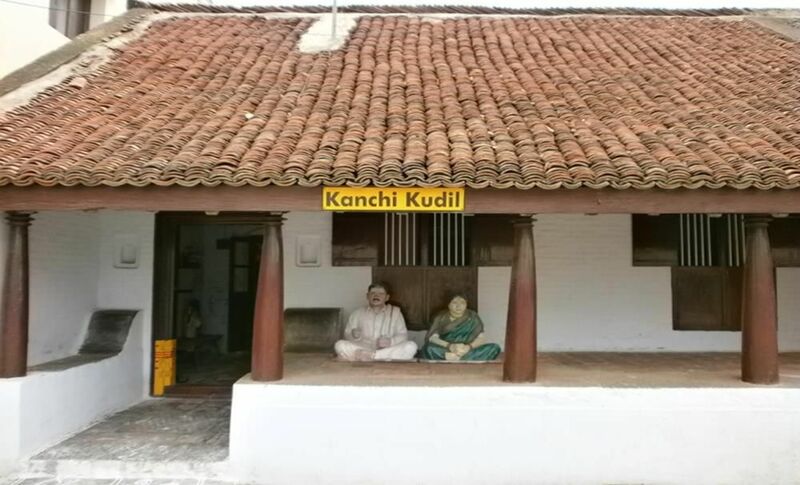 Kanchi Kudil was born of a desire to twist ancestral property into a place of tourist interest, that tourists may get an experience of the life as lived in a historic place as Kanchipuram. While temples and monuments index the cultural life of a city, the genuine soul of a place is to be found in its people and their homes. Dr. C.N. 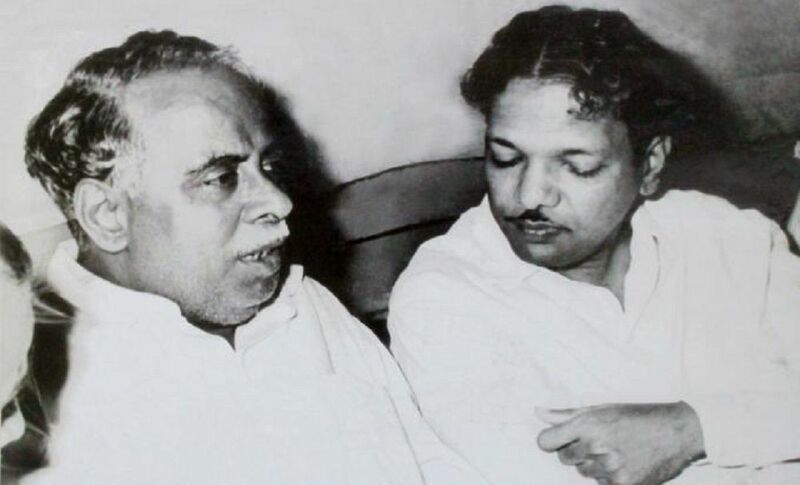 Annadurai, (former chief minister of Tamil Nadu) was born in Kanchipuram District. 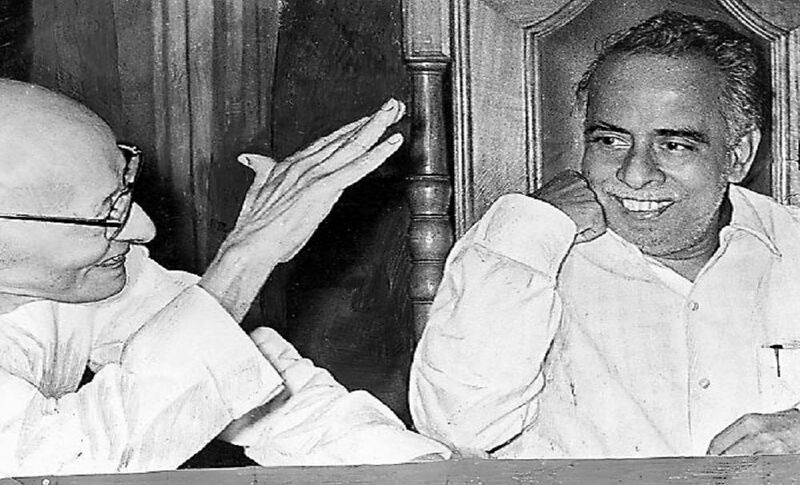 He is a scholar statesman, affectionately called Anna - The Elder Brother - by the general public. His ancestral house located here has been converted into a memorial. 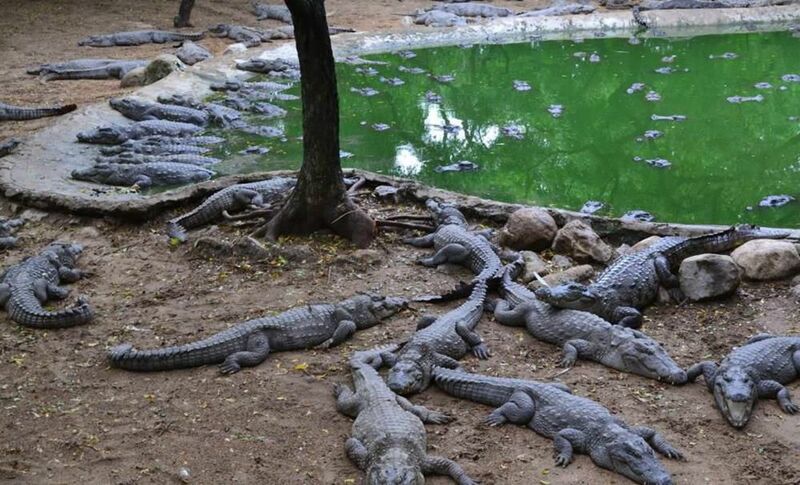 It is located 14 KMs away from Mamallapuram is a crocodile breeding center. 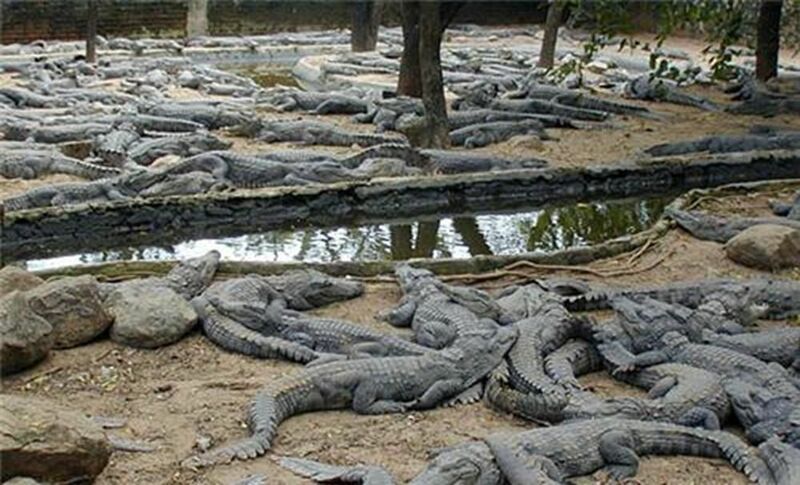 At this center about 5,000 crocodiles of 6 different species, alligators & other reptiles are bred in captivity, kept in open, boggy enclosures. There is also a snake farm where anti venom is produced and there is a regular venom extraction show. This is one of the famous tourist spot in Tamil Nadu. 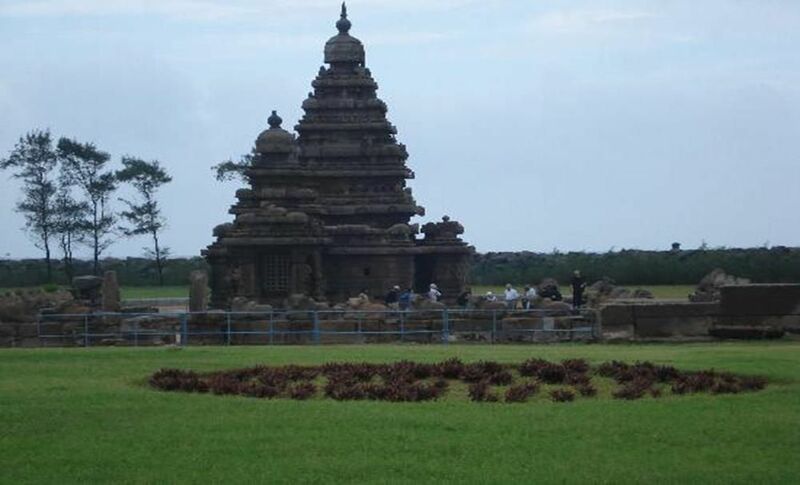 It is situated 29 KMs away from Chennai on the way to Kanchipuram. 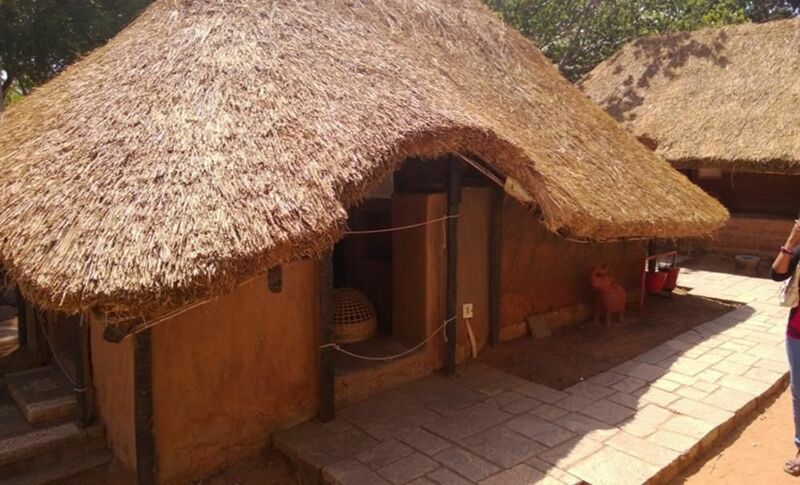 It is the birth place of Saint Ramanujar, the Father of Visishtadvaida philosophy of Vaishnavism and hence a foremost important pilgrim centers for the Vaishnavites. Currently, apart from its temples, this small town is also known for its flourishing handloom industry. 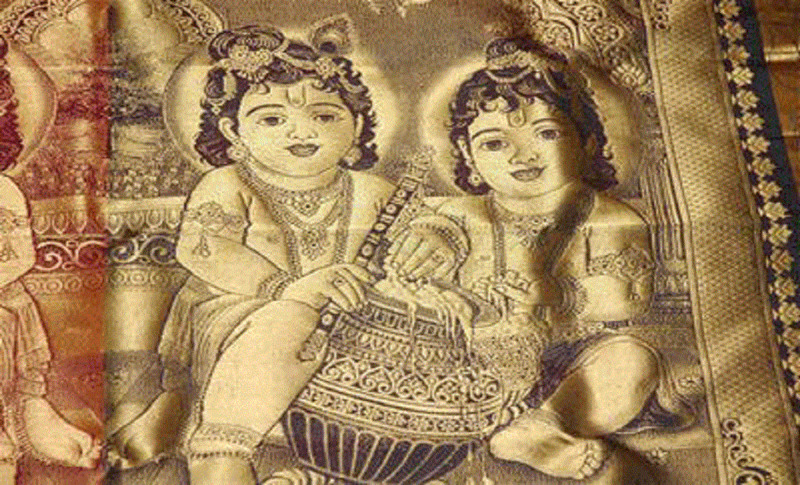 Kanchipuram is also known as Silk City. Since the major profession of the people living in and around is weaving silk sarees. The silk weavers of Kanchi settled more than 400 years ago and have given name and fame for producing the best silk sarees in the country. Kanchipuram district is well connected by road ways and rail ways. 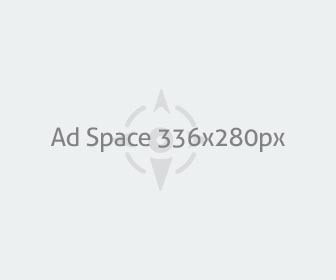 The nearest airport is Chennai International airport. 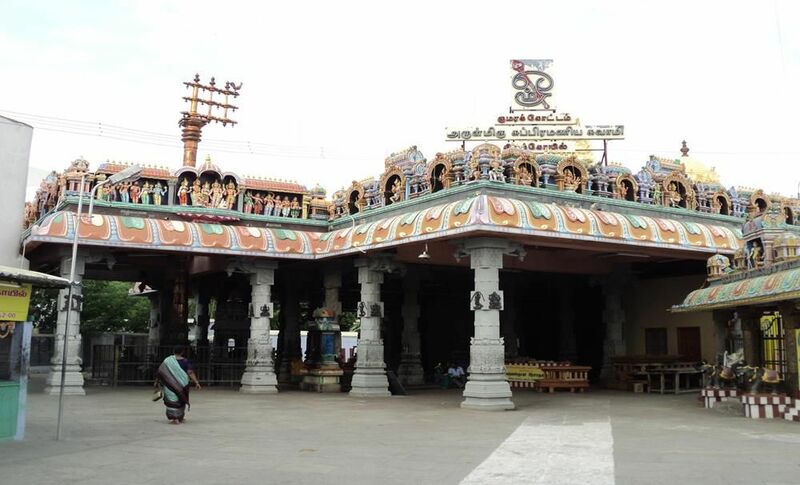 Kanchipuram is 75 KMs away from Chennai and is well connected by excellent road networks and there are frequent bus services from Kanchipuram to Chennai, Bangalore, and other places are accessible. It is also well connected by Rail networks.